Despite a late rally, The Rooks couldn't repeat the heroic feat from Saturday and exited the FA Trophy at the hands of National League South Hemel Hempstead Town, reports Stuart Fuller. Darren lost the services of Stacey Freeman in the run up to the game and with Kieron Pamment and Dayshonne Golding cup-tied, Tom Day came into the starting XI. 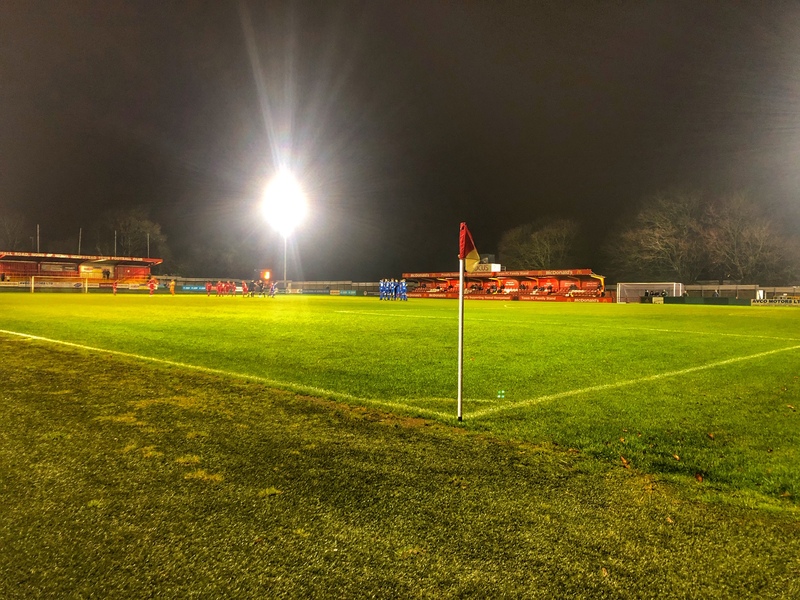 Despite having several regular first team players out of action themselves, Hemel looked every bit a National League side in the opening exchanges, with Jack Snelus's powerful shot hitting the post. The Tudor's frontman made no mistake a few minutes later when he hit an unstoppable shot into Lewis Carey's top corner from the edge of the box. The Rooks didn't look at the races in the first half an hour as the home side continued to press, putting the back four and Carey under pressure. The Tudors hit the post again but didn't have to wait long to double their lead when Knowles was put through by Cawley and he beat Carey from 10 yards. The 25 or so Rooks fans feared the worst but then there was a chink of hope. Sam Karl jinked into the area and forced a save from the Hemel keeper and then just on the verge of half-time we were back in the game. A corner was hit long and appeared to strike a defenders arm on its way through to Luke Blewden. His cross was met by Henri Wilder and his shot was then deflected into the net by Sam Karl, his first senior goal for the Rooks. Darren made some early changes in the second half, bringing on Harry Reed and Marcus Elliott. "Next goal wins" came the shout from the Rooks fans - unfortunately it was the home side who got it, although in controversial circumstances. James Hammond was adjudged to have fouled a Hemel player, by the linesman, despite being a good three yards away from him. Despite the protests, the referee gave the free-kick which was swung in for Cawley who hit it goalwards only for the ball to deflect off Tom Day and into the net. But the Rooks rose again and just a few minutes later it was 3-2 as Harry Reed's shot was deflected in at the other end by James Kaloczi. The home side then used every trick in the book to run down the clock - a huge compliment to the Rooks - and whilst they tried to create a chance to take the game into extra time, it was not to be. Now the cup exploits are out of the way, the team can concentrate on climbing back up the Isthmian Premier League, starting with the home game against Leatherhead at The Pan on Saturday, kick-off at 3pm. Subs not used: Oliyide, Muyembe, Nketia, Nolan.